ST. GEORGE — Since starting his new job as chief of police at Dixie State University, Blair Barfuss has already assigned campus officers with tasks and is focusing on aligning the department’s policies with St. George. 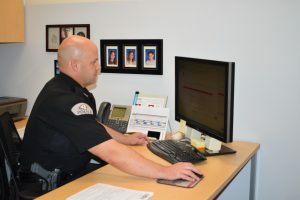 Barfuss has been a police officer since 2001 and joined Dixie State’s Police Department after leaving West Valley Police Department. “West Valley was a great opportunity, and it provided me with every experience I wanted in my police career from patrol experience all the way through investigation,” he said. Barfuss served as the lieutenant training unit commander in the administrative operations bureau for the West Valley Police Department. 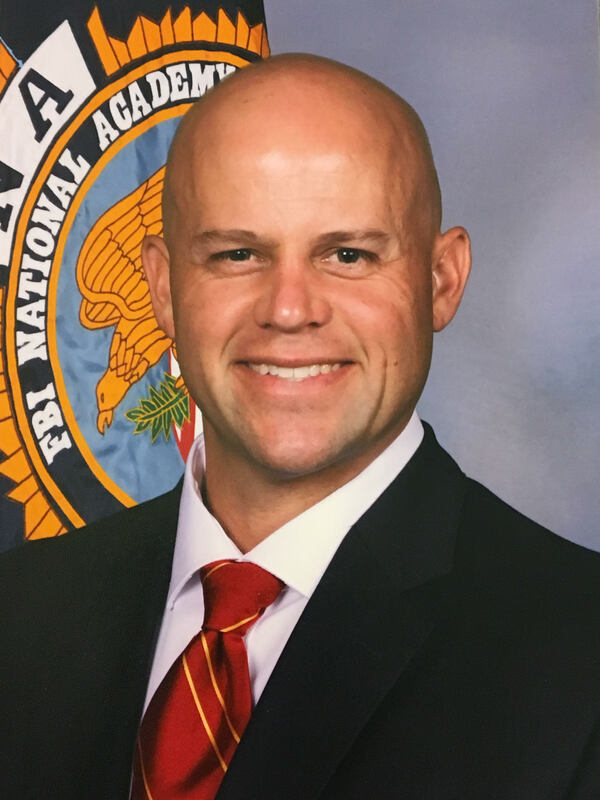 He also served as a special agent/task force officer in the Child Exploitation Task Force of the FBI in 2016. 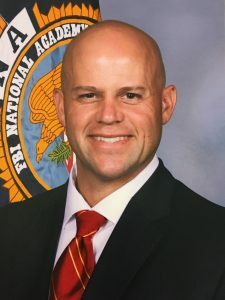 The switch from a city police department to a university’s police department stems from his master’s degree in human resources with an emphasis in organizational management. He said the police department is going through “significant” changes when it comes to its policies, procedures, culture, climate and branding. “A lot of the major policy changes are integrating our policy and procedures in line with St. George, so that we work as closely together as possible and our policies match,” he said. Barfuss said it allows situations to run more smoothly if St. George police officers ever had to assist on campus. Some changes that will be made are in regard to policies on the use of force, vehicle pursuits and training. 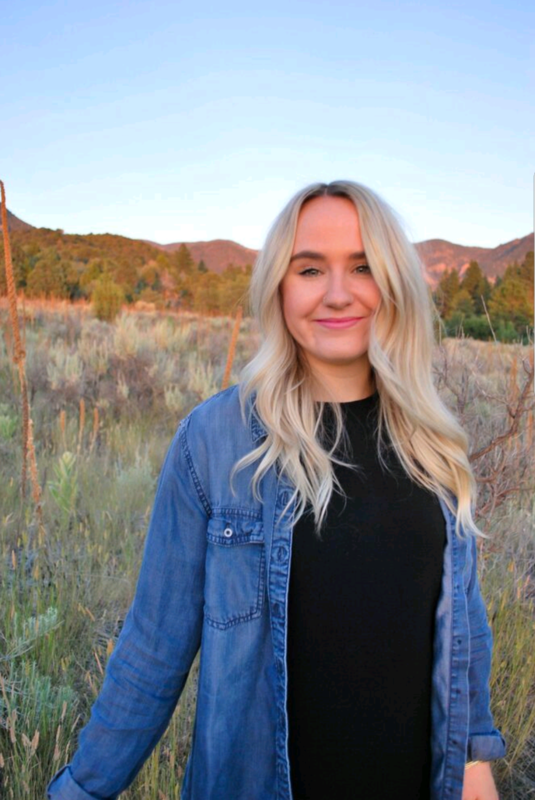 One policy Dixie State’s police department will be implementing is trauma-informed victim interviewing, which will help officers understand cultural perceptions surrounding sexual assault and learn to recognize signs of trauma. Barfuss said since he just started this position, he doesn’t know of any incidents where Dixie State police department’s policies have clashed with the policies of St. George police. His philosophy for the police department, he said, is to focus more on community engagement. Every chief of police at a university campus brings their own strengths and weaknesses, he said. His strengths are in organization and employee engagement. Barfuss has already assigned his five full-time officers with duties that they haven’t been asked to do before, like being tasked as a fleet manager, range master and a field training officer. University officials in the future will want 12 full-time officers on campus, supported by a host of part-time and reserve officers, Barfuss said. Reserve officers will be from different agencies but will work on campus part-time for large events where they’re needed. To learn more about Dixie State’s police department, visit its website. Why didn’t Isaacson stay? He impressed me with his experience and manner.